The Extension Ministry was formed in 2007 as a conduit for GNG to give to our community and to our international partner in Haiti. Some of our local projects include two Free Sales, which are like yard sales, but everything is free. There is a Back-to-School Free Sale focusing on giving away school supplies and clothes to kids in need. 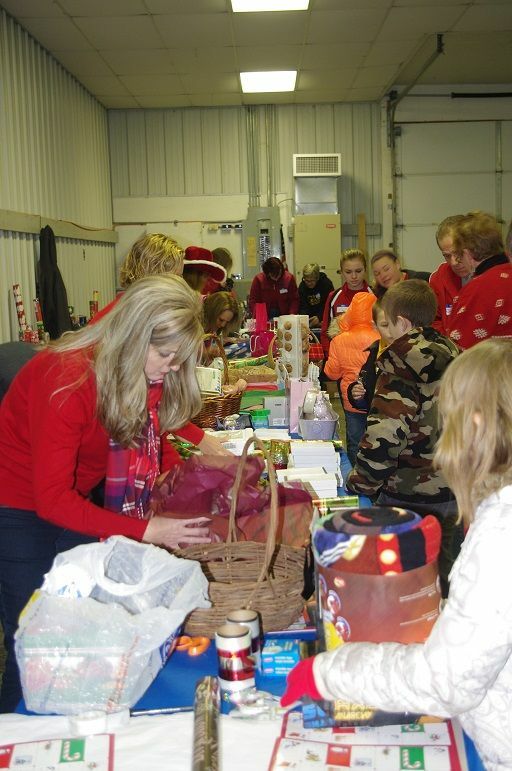 There is also a Christmas Free Sale where parents can get a few toys to give to their children, and children can pick out a gift to give their parents. GNG also supports: the Southern Ohio Pregnancy Center, Job & Family Services Foster Child Christmas Project, the Toilet Paper Christmas Tree, Hope House Christian Counseling Center, and much more. The Extension Ministry also assists members of the GNG family as needed. It has been the vision and dream of Pastor Pierre to make a better life for the people of Haiti. Since being called to serve in the Lord’s harvest field at LaCroix near the end of 1975, God made it clear to Pierre that He wanted a school for children whose parents couldn’t afford to send them. Since that time, he has seen the schools grow from less than 200 children to over 3,500 by Miraculous Provision! Currently, individuals and families at GNG are monthly sponsoring over 200 children through LaCroix New Testament Mission. The $20 per month sponsorship ensures your child receives an education, clothing, medical treatment and at least one meal every day.